I’m sure I’m not the only pilot who’s not completely comfortable with the idea of ‘See and Avoid’ when it comes to avoiding other aircraft in uncontrolled airspace. Of course, it’s one of the first things you are taught when learning to fly. You keep a good lookout for other aircraft. You keep your eyes outside the cockpit as much as possible, you move your head around to minimise blind spots, you keep up a scan, you make clearing turns before manoeuvres. It should work, and in general it does. But then there are the times….it just doesn’t. There’s that aircraft that just whizzed past you a little too close; where did he come from? London Information tell you about that helicopter close to you; so you search all over the sky, but you simply can’t see it. But you keep quiet, in case it’s just you. After all, everyone else manages fine, don’t they? Well, sometimes they don’t. There was a fairly recent mid-air collision which was caused by the breakdown of ‘See and Avoid’, which some of you may have read about. Briefly, two Piper Warriors collided a short distance north of London, close to the junction of the M1 and M25. One was a student on a navigation exercise from Leicester to Elstree; the other was a PPL flying from Stapleford to White Waltham. At the moment of impact, the pilot of one aircraft was changing the pressure setting on the altimeter after contacting Elstree Information; the other was flying towards a low, bright sun, and was looking at the map to verify position before calling Farnborough LARS. It appears that both had their heads inside the cockpits for quite necessary actions connected with their flights when the accident occurred. Amazingly, both pilots survived unscathed. One Warrior had damage to the propeller blade and left wing; the other to the undercarriage leg, wheel, and tyre. Neither pilot was even hurt. So my first thought on reading about this was that they were both incredibly lucky. Or were they both incredibly unlucky that it happened at all? Or…bearing in mind that mid-air collisions aren’t that unusual, and that this is a notoriously overcrowded bit of sky, is it just surprising that this sort of thing doesn’t happen more often? Anyway, I read on, hoping that the AAIB would have some suggestions to make. Perhaps they could advise us all on how such incidents could be avoided. Maybe there was something I didn’t know, that I hadn’t thought of, when it came to visual navigation in crowded skies. 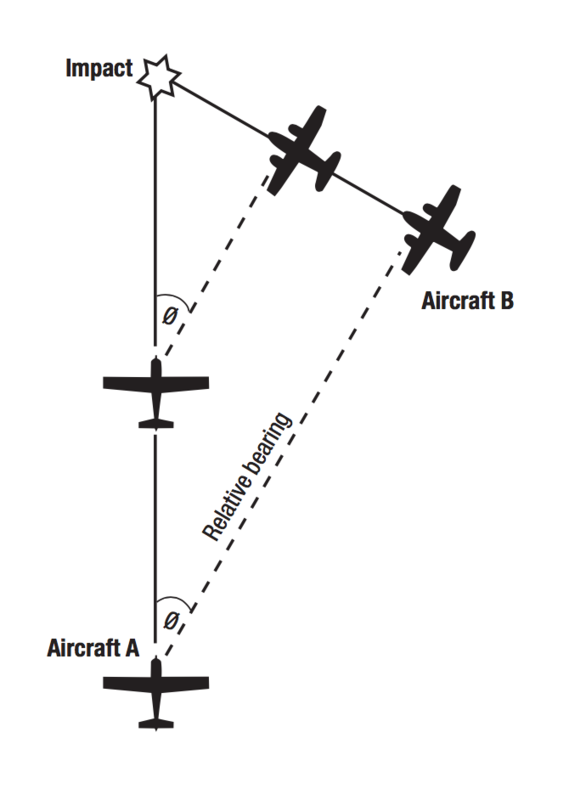 But all they said was that it was likely that the poor into-sun visibility, the constant angle between the tracks of the two aircraft, and the fact that the attention of both pilots was inside their respective cockpits, had contributed to the breakdown of the ‘See and Avoid’ principle. No suggestions at all. That was it! My first idea is one I originally heard about from another PPL, many years ago. “Don’t fly at 2000 feet”, he had said. “Pick a less common altitude”. His reasoning was that most people seemed to pick that height, so if you flew at 3000 feet, or even 2500 or 1500 feet, you might minimise your chances of a collision. 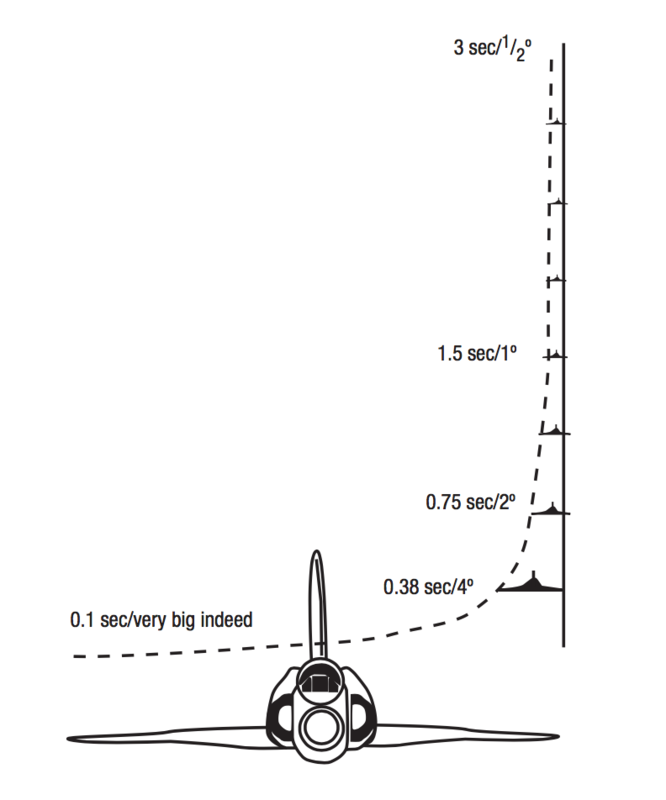 Indeed, in the example described above, one pilot had claimed to be at 2000 feet, the other at 2200 feet, which is a little close for comfort bearing in mind they were using different pressure settings. And why? To be sure, the pilot approaching Elstree might not have wanted to be too high, but maybe the other flyer could have flown at 2300 feet or 2400 feet [The base of Class A London TMA airspace in the area is 2500ft – Ed]. Of course, this wouldn’t have guaranteed their safety, but it might have helped. My second thought involved something mentioned to me by a pilot when I was flying in the crowded airspace above Los Angeles in California, some years ago. With city smog quite prevalent, trying to see and avoid other aircraft wasn’t always easy, but this guy had some helpful advice. “Try not to use the obvious routes”, he said to me. “For instance, don’t use your GPS to fly precisely round areas of controlled airspace. You’re too likely to meet someone else doing the same thing in the opposite direction”. Now in the example mentioned above, that might have been rather difficult. That area of uncontrolled airspace between the zones of London, Luton, and Stansted isn’t very wide. But…I think it may be significant that the aircraft collided near the M1/M25 junction. I don’t know, but it seems possible that the pilots were both aiming to fly over or close to that junction. Is that necessary? I remember being told years ago that if I was flying between VORs – which we used a whole lot more in pre-GPS days – I should alter course before I reached the VOR itself. It was for precisely this reason; you don’t want to collide overhead a VOR. So…how many of us use motorway junctions, water features, and VORs as turning points or reporting points? Is this really a good idea? Wouldn’t it maybe be safer to use something less obvious? It might tax our imagination and navigation skills a little more, but it might also save our lives…and there’s no contest there, is there? The last idea is one I haven’t actually tried for myself, so I’ll only mention it briefly, but I think it could be the best. Airliners all use TCAS (Traffic Collision Avoidance System), a truly wonderful system that tells you about other aircraft flying close to you. I’ve travelled on the flight deck a few times and seen TCAS in action, and it’s great. And they now make these devices (or something that works in broadly the same way) for use in small aircraft. Apparently they have their limitations – they only let you know about transponder-equipped aircraft, close to London they are said to bleep at you all the time, and so on. But some GA pilots say they are worth every penny and may have saved their lives. So it’s probably worth looking into this at the very least. * ‘Hill Street Blues’, Ed. Do I get a prize?